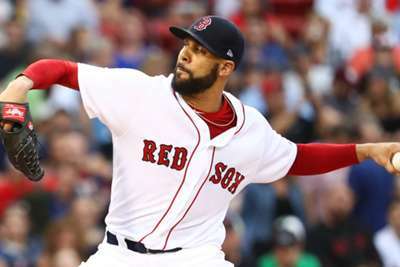 Starting pitcher David Price plans on playing out the remaining four years on his lucrative contract with the Boston Red Sox. In the third year of a seven-year, $217million contract, Price is 14-6 with a 3.57 ERA but the 33-year-old has a 5.03 ERA in 17 career postseason appearances. Price is set to make $31m next season and $32m in each of the final three years of the deal, the richest in MLB history for a pitcher. Discussing his future, five-time MLB All-Star Price said: "Why would I leave here to go to a team that's not as good as this team? I came here to win. "I don't worry about all the other stuff. Just come here to win. We're going to have a really good chance to do that." The Red Sox, an MLB-best 99-46 entering Wednesday's play, were the first team to clinch a postseason berth. "I could go 35-0 in the regular season with a zero [ERA] and it wouldn't matter," he said. "I need to win in October. That's that; regular season means nothing for me." Price is 5-0 with a 2.04 ERA, 0.90 WHIP, 61 strikeouts and a .201 batting average against in his past nine starts dating back to July 12, righting things after a rough start to the 2018 season.